Kerabearats does her thing and plays with coffee. Let’s throw some ice around! Kerabeareats loves Thai food, and found an awesome spot in Hurstville serving beautiful authentic Thai! Kerabeareats visits her FAVOURITE coffee spot in Darlinghurst. This time for a spot of sushi! Kerabeareats returns to try this awesome Asian fusion VEGETARIAN CAFE! Who know vegan prawn laksa could be so life changing? and ate the egg and got 25% off the bill with Eatclub! Kerabeareats is at her favourite Fusion Japanese Cafe again! She even waited AN HOUR for a table! Kerabeareats reunites herself with the epic Song Kitchen Stack! Kerabeareats loves Japanese food, and gets a bit creative on the photography front! Who else makes a tree out of sushi dishes? Kerabeareats visits her favourite cafe in Rhodes! Auvers Cafe achieves the perfect balance of taste and art. Kerabeareats meets one of her favourite Melbourne foodies, the QUEEN herself! Kerabeareats meets Stepha - Melbbrunchqueen! Kerabeareats eats a little fancy today when she meets Mister Percy. Kerabeareats tries the new summer menu at Paddock! Out comes the flowers again, hehe! Kerabeareats gets ready for a FEAST! There’s nothing more romantic than the words ALL YOU CAN EAT. 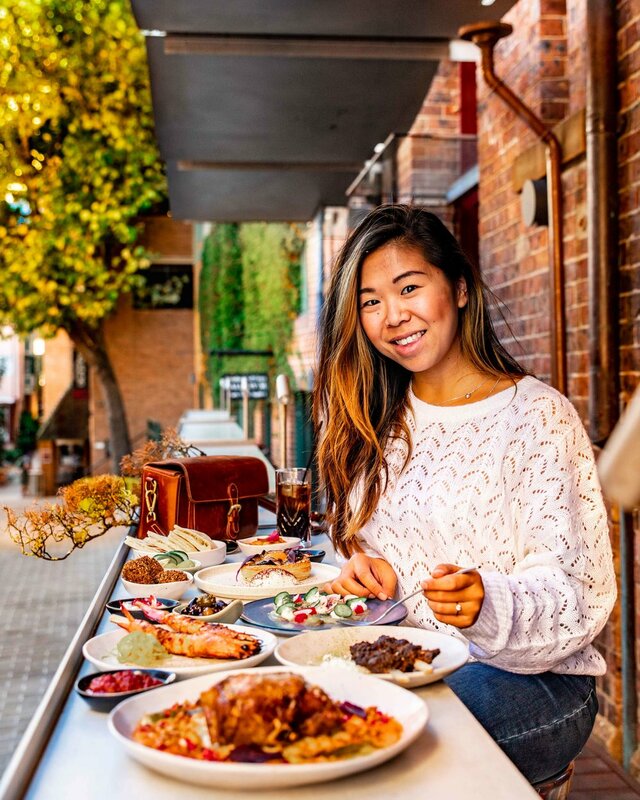 Kerabeareats tries some of the most popular food in Melbourne! And reveals the SECRET MENU! Kerabeareats is in Melbourne and trying out new cafes! Kerabeareats enjoys a DINNER DATE with her new foodie friends in Melbourne! And her new boyfriend Ginger Boy! There is nothing Kerabeareats won’t try! Kerabeareats revisits one of her favourites! Lune Croissant - an absolutely MUST in Melbourne!